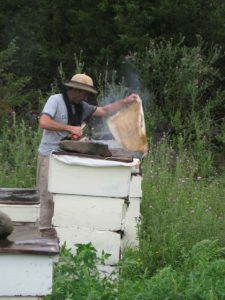 The honey my bees produce is pure, natural and unpasteurized. 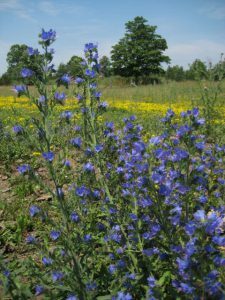 Our main honey season starts with Blueweed. 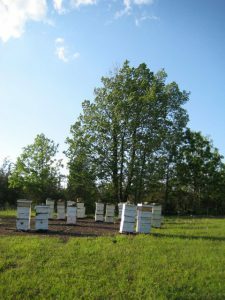 Much of the first comb honey in this region comes from Blueweed. 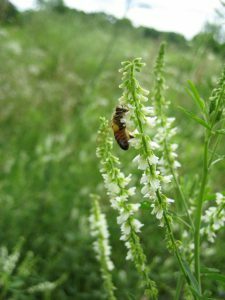 With the arrival of summer the White Sweet Clover is in full bloom. 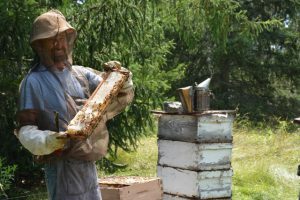 It is our best honey producer. 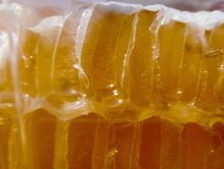 Its honey is a light golden colour with an excellent flavour. When it granulates it’s crystals are very fine, making an excellent crystallized honey. 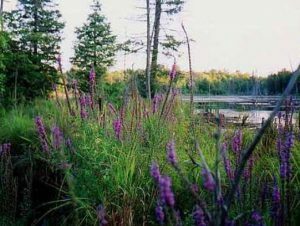 As August nears Purple Loosestrife begins to bloom. 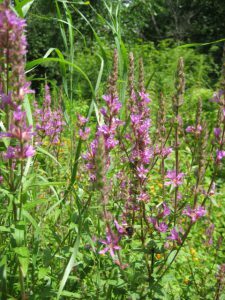 Purple Loosestrife has become our second most abundant honey crop in recent years. On it own Purple Loosestrife is rather bitter but combined with Clover and Goldenrod it makes an excellent stronger tasting honey. With the approach of fall it’s Goldenrod’s turn to mark our fields with its yellow flowers. 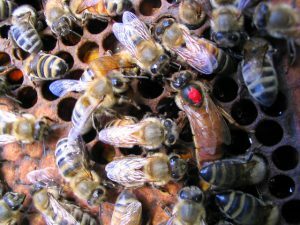 It’s honey is darker but mild in flavour. 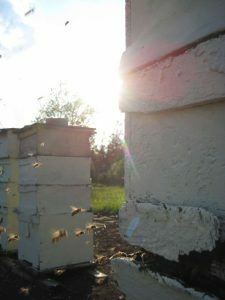 Once September has arrived we leave to the bees whatever honey they have collected. It will be for their nourishment and enjoyment in the long winter ahead. My parents have been making this cream for over thirty years. I continue their tradition of using pure beeswax obtained from our bees, the finest oils and spring water in the making of this cream. 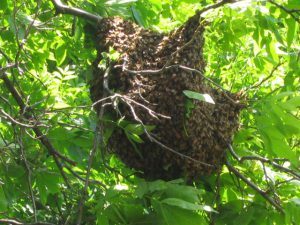 In the 31 years that I have been making beeswax bodycream, many people have commented on its efficacy in prevention and healing of dry skin. This includes chapped skin, lips and dry cuticles. 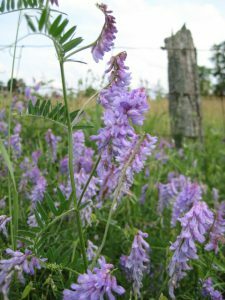 Others have found it invaluable in the treatment of eczema and psoriasis. Customers have recommended it for the healing of insect bites, poison ivy, skin allergies and cold sores. This cream is thick so we recommend that you use it in small amounts. A little goes a long way. To use, apply at the first sign of dryness or symptoms. Use every day or two as needed. Medically this product has not been tested. 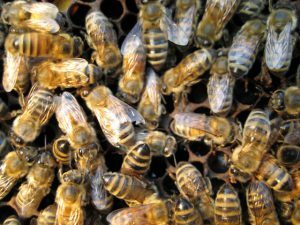 Beeswax, with its wonderful antibacterial quality, combined with oils have been used to soothe the minor aches of folks across the centuries. I’ve had eczema since I was a little girl. Growing up, I’ve tried just about anything you’ve heard of, from natural remedies to prescription creams but nothing really helped. 20-some years later, I finally came across this beewax cream and immediately saw results! Within a few days of use, the open sores on my hands started to heal up. Not only is this cream not sticky, yet hydrating enough, but the beewax also helps to lock in the moisture for longer. Thank you so much for this wonder, I can’t wait for my next order to come in! Wednesday May 29 2019 until the middle of October. I can be found at the yellow bee in front of the Public Library and Cafe on the Square. Thursday May 23 2019 until the end of October. I can be found at the spot marked by the yellow bee. 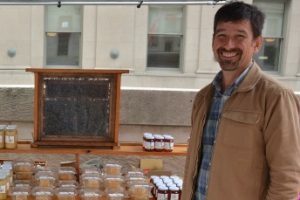 I have been selling honey, beeswax bodycream and flowers since 1986. 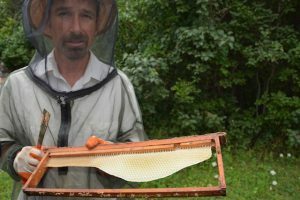 My father is a beekeeper so I grew up with bees. I have approximately 100 hives. 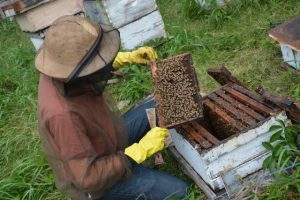 There are more hives some years than others depending on how they fare through the winter. 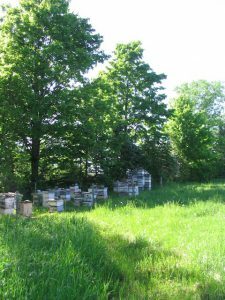 My hives are located in the area east of Tweed, 40 km north of Belleville. 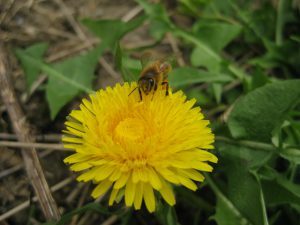 The bodycream is made from the beewax produced by my bees.